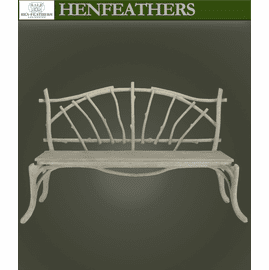 The HenFeathers Collection also offers classic contemporary garden furniture designs artfully formed in the Faux Bois method. 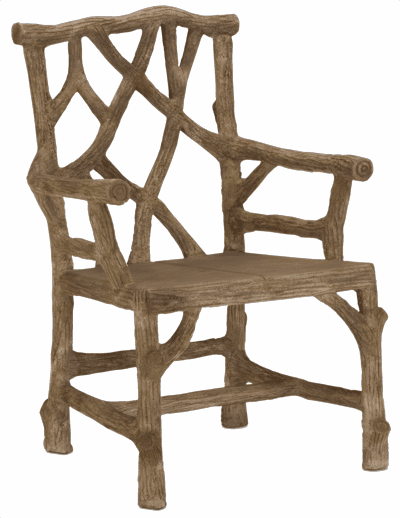 Faux Bois (faux wood) is an art form that began in France over 175 years ago, a tradition of creating furniture from iron and concrete with the look of real wood. 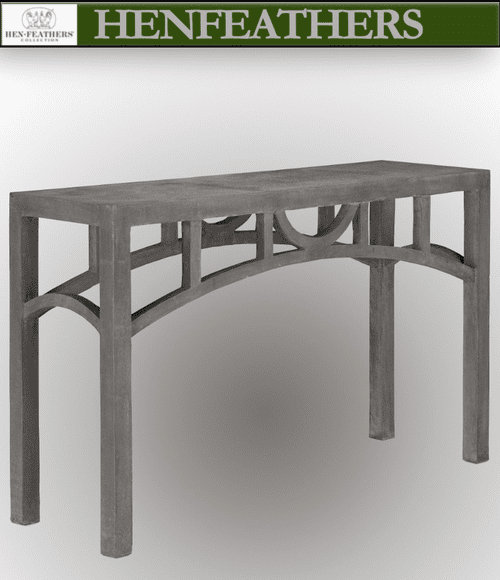 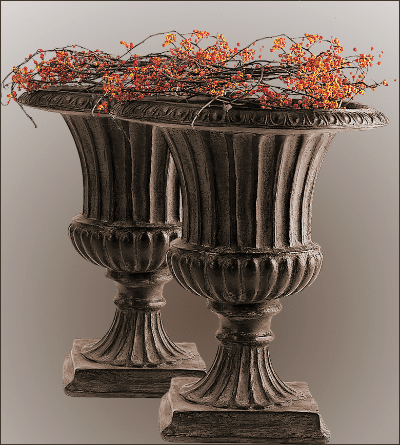 Our Moongate Console Table is constructed of sturdy reinforced concrete and it makes a fantastic addition to a garden or other outdoor/indoor space. 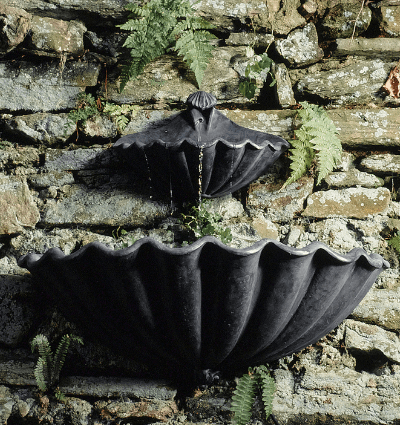 Hand cast and hand finished in concrete and steel with dark gray finish. 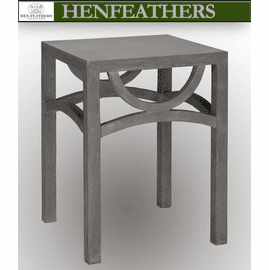 ****** NOTE: In the case of larger furniture designs there is a Freight/Truck charge based upon your location. 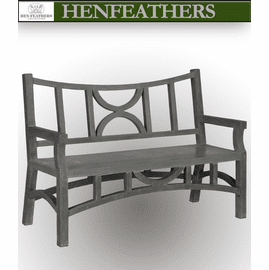 For more details about our Faux Bois furniture Collection please email us at "Contact Us" at the bottom of this page, or call HenFeathers 610 649 4078.